Best Western Hilliard Inn & Suites est idéalement situé dans le centre de Hilliard. Venez découvrir et profiter de notre hôtel à côté des principaux sites touristiques. Réservation au meilleur prix et offres exclusives toute l'année. Le Best Western® Hilliard Inn & Suites propose des chambres récemment rénovées, équipées d'une connexion Wi-Fi gratuite, télévision LED 109 cm, mini-réfrigérateur, café dans la chambre et canapé-lit. Commencez votre journée avec un petit déjeuner chaud, complet et gratuit. La situation est essentielle à l'heure de décider où vous allez séjourner. Nous bénéficions d'un emplacement pratique près de nombreuses attractions de Columbus, à 8 km du « Hollywood Casino » et à 10 km seulement du centre-ville de Columbus. Vous y trouverez le centre de congrès Greater Columbus, le centre d'expositions Ohio, l'université d'État de l'Ohio, le musée des sciences COSI et le quartier Arena District. Les passionnés de sports pourront visiter le Buckeye Hall of Fame Cafe à proximité, le parc des sports Berliner, le parc Spindler, le Crew Stadium et l'Huntington Park, stade de l'équipe des Columbus Clippers. Les voyageurs d'affaires peuvent amener leur famille. Pendant que vous travaillez, elle pourra découvrir le zoo de Columbus avec Jack Hanna ou le parc aquatique Zoombezi Bay. Des boutiques sont également à proximité, ainsi que de nombreux restaurants à moins de 1,5 kilomètre. Amusez-vous ou détendez-vous après une journée bien remplie dans notre piscine intérieure. Profitez de l'accès à notre centre d'affaires ouvert 24 heures sur 24 et à notre aire d'entraînement. Notre personnel amical est disponible à toute heure du jour et de la nuit pour répondre à vos besoins. 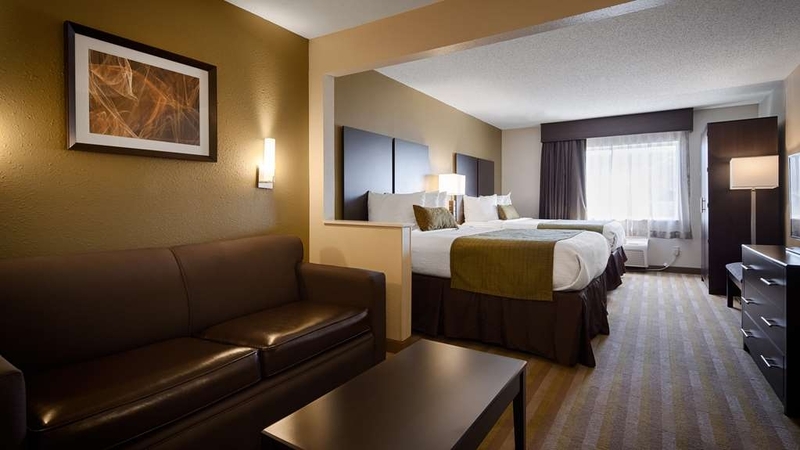 Pour un excellent séjour à Hilliard, réservez une chambre au Best Western® Hilliard Inn & Suites. The staff was wonderful, the place was clean, and the location was extremely convenient. The weekend stays are a little pricey, but we got a great deal for the weekday price. Worth it! Lots of nearby shopping and places to visit. Good choices for extra amenities within the hotel. Retirement party, family reunion, just finding fun. This was an excellent place for us to stay. The staff were accommodating and helpful. The facilities were clean and comfortable, but because this hotel is popular with traveling sport teams, the common public area was a bit tight. Special shout out to Conrad and Autumn for their special attention to our groups needs. Myself and staff always stay here when travelling to Columbus. Their staff especially Jane & Autumn are always very accommodating and make checking in and out a breeze. I would recommend this property to anyone. 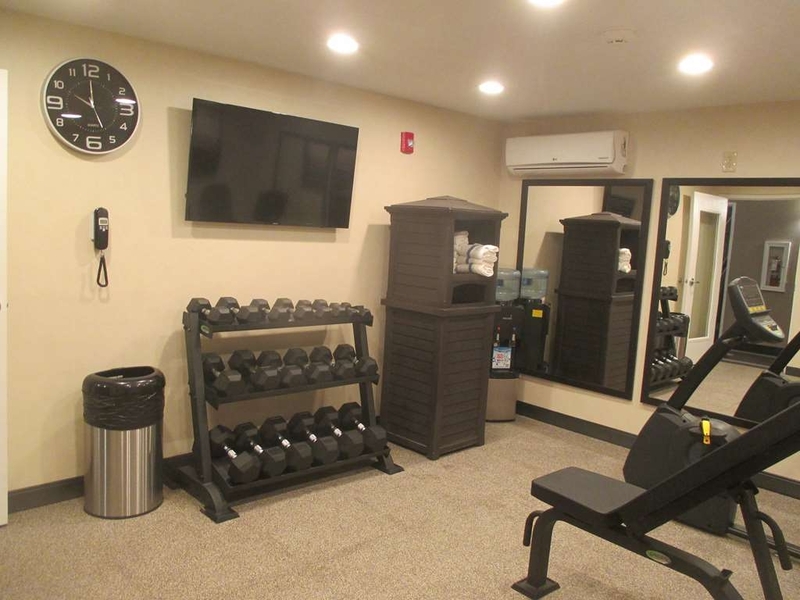 Good breakfast for the price point Newer property Small fitness center and indoor pool Nice but not really knowledgeable front desk staff Room was adequately appointed, but we had challenges with the heater's ability to keep the room at the desired setting. "Nice place with good breakfast and value"
Hotel is a nice place to stay with good food for breakfast and is a good value. The people are very nice and provide excellent service. The high-speed internet (included for free) worked great. Most places it doesn't work well unless you pay more. I would stay here again and recommend to others. We were in town for a wedding, the rooms were large and the bathroom was also. Great place to get a crew ready for wedding festivities. It's a small town but quaint and quiet. We liked our stay and enjoyed the town. The Hotel and rooms were super clean and all stocked with supplies. and so helpful. the food was very good, the lady in charge was always making sure items were full and ready. The staff there all were ready to help you, answered questions and gave directions on places to go or eat. 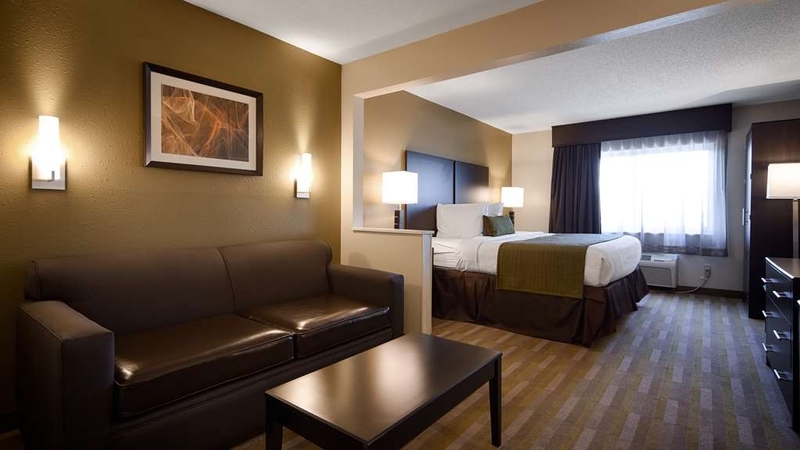 This Best Western is a great place to stay! Friendly staff from check in to check out! Great breakfast with variety of items. Hotel and rooms very clean. We will certainly return very soon! I will recommend this hotel to family and friends! This hotel is spotless!! The lobby is so cozy I wish we had more time to hang out there! Most importantly the room was awesome!! Very clean and almost brand new looking! The bed was so comfy! The breakfast had so much to offer too! Just a great place!! The pool was closed due to an child's accident but not the hotels fault. We were super glad that they were honest and kept it closed until it was sanitized! Everything went like clock work had a really nice stay clean facility alert prompt staff .Breakfast was great swimming pool awwsome also internet was fantastic ..I also spoke several times to the staff and they were very prompt and helpful overall i had a terrific experience here . We were two adults and four kids in the room. The room was clean and there qas enough room for us to sleep. The front desk guy at night was very nice and very helpful. The morning manager was even nicer and helped me solve some rewards issue. The breakfast was nice and filling for my kids. We had a good experience and if we will be in the area again we will be back! This place was one of the cleanest and nicest hotel I have even been to. The staff were very nice and helpful. Located in a nice area.Has a very beautiful lobby.Only had one issue...the inside of the tub was very slick and my son slipped....other than that, we had a very pleasant stay there.I will definitely stay there again.Worth it to stay there. Admittedly I did not have high expectations since I was booking a Best Western but was pleasantly surprised. Check in was quite easy - Autumne (person who checked us in) was very friendly. Room itself was clean and free of odors. Bathroom was a decent size and again clean. We were gone most of the time during the day and the housekeeping staff did a good job cleaning the room. Breakfast is what you would expect at a hotel offering free breakfast, a buffet with scrambled (powdered) eggs, sausage or bacon, biscuits/gravy, cereal, yogurt and waffles. We used the pool once, small but served its purpose. The only minor issue we had was related to the side door. For some reason our keys were deactivated 1/2 way through our stay and they would not unlock the door. We walked around to the front and we immediately re-activated by the front desk. Overall I would certainly stay here again. I usually stay at another brand of hotel but thought I would give this a try. 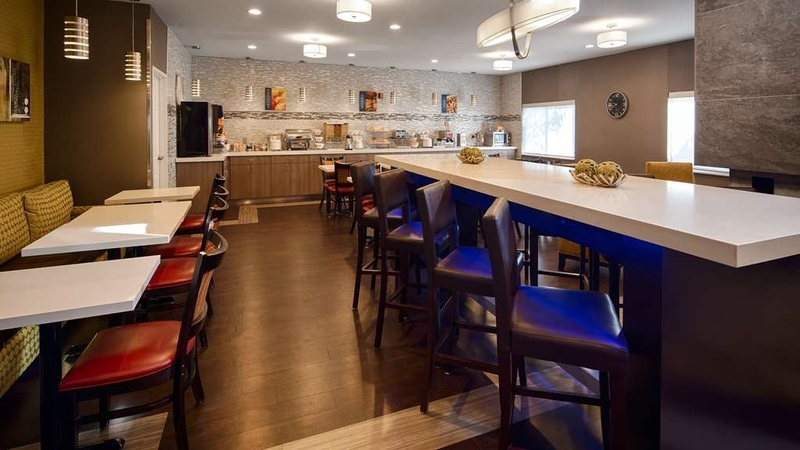 Very clean and remodeled hotel. The room is large and the maid service on spot. They have a pool, every morning breakfast. Really the only minor complaint I have is that they do not have a business center, just a computer in the lobby. Every one can see what you are doing. Ok for flights, but I would not do business email on it. WiFi is free, so work in your room. Really nice staff. We always stay at Best Western.. They are always on the ball from check in to check out. The rooms are great, nice and clean. As for breakfast is has a nice variety of food to select from and the beverages are great. Will come back time and time again. Very nice experience, front desk was great, checking to see if they could help us with anything, directions, etc. House keeping was a little too eager to clean the room in the first morning, but room was neat and clean. Top notch hotel. Autumne and Jane at the front desk are a true asset to the hotel, great personalitys made the check it s pleasant experience. Clean rooms, quiet, only heard one thud from the room above us it was quiet the rest of the stay. Good choices of hot and cold for breakfast, could not beat the price, will definitely recommend and will most definitely stay here again. I've never stayed at a Best Western before but this location surprisingly exceeded my (somewhat low) expectations. Everything was updated and modern (furniture, fixtures, paint, carpet/flooring). Our room had a nice leather couch and all of the linens were clean. The shower ran hot water instantly. Staff was friendly. We left early in the morning so we were already up but maid service came around 8 am so just put the so not disturb sign on the door the night before and you'll be fine. I'm a stickler for clean rooms and I would gladly stay here again. I count it a blessing to make it far enough through my day to get to stay at this hotel. This is the 3rd or 4th time I stayed here & I can't think of a SINGLE complaint. Staff are ultra professional & friendly. Rooms are super tight & large, abundant truck parking, shower is phenomenal, b/fast is 100% & the highway is right there. Add in a great price & that's a place I'm a KEEP comin' back to. 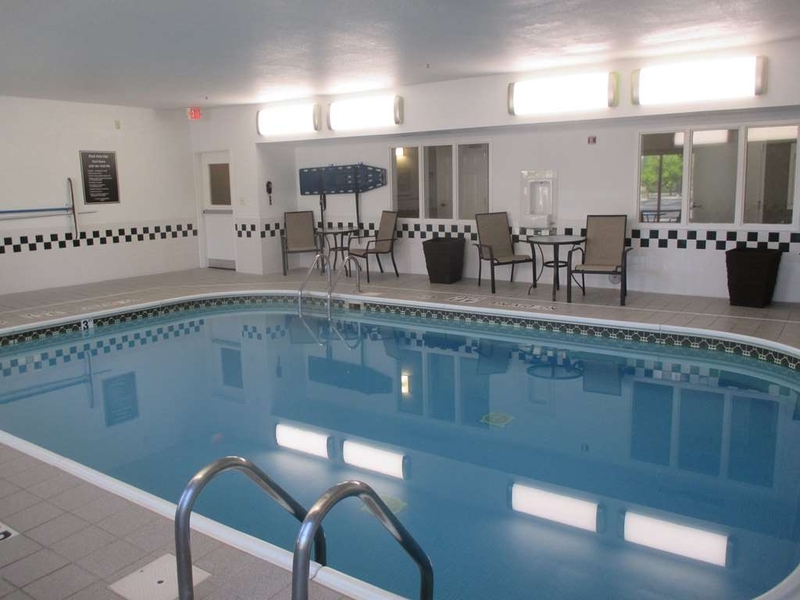 Oh yeah, there's also a warm pool & a relatively well stocked fitness center. 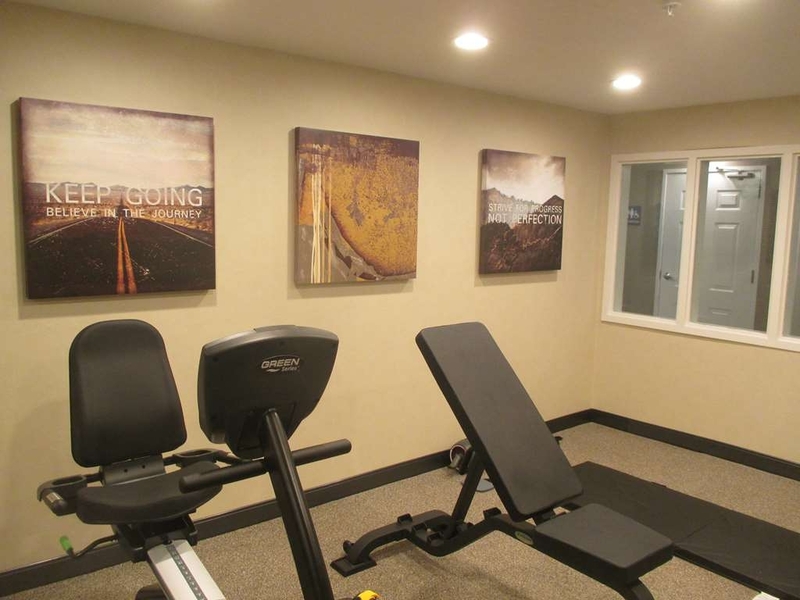 As if that wasn't enough to sale you & you're about training, you can go over to the Crunch Fitness 2 minutes away on Best Western's dime.....it's INCLUDED. Be blessed & enjoy your stay. I hope this review helps you. Highly recommended! We picked this hotel as a convenient stop on the drive north from TN to Canada. We arrived late in the evening, and were greeted warmly and given a large, clean room. 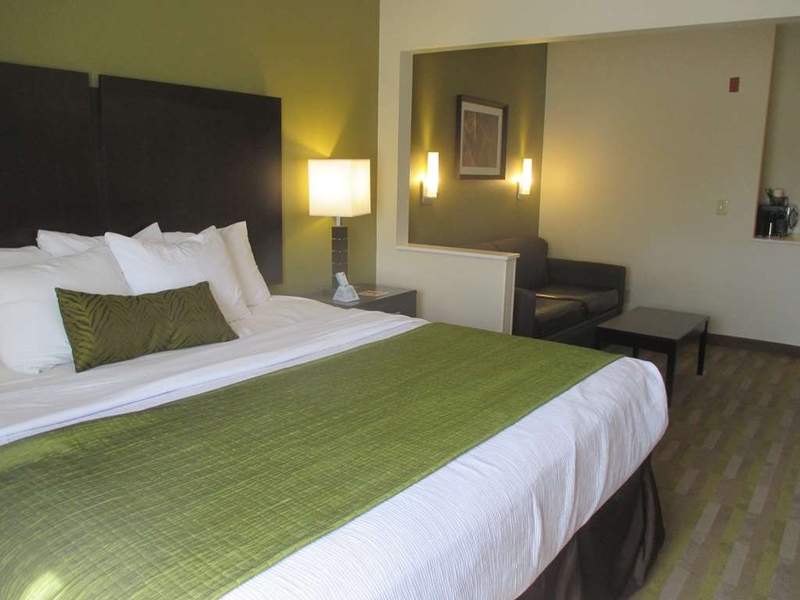 We were impressed with the appearance of the hotel, its proximity to the highway and the comfort of our accommodations. Breakfast was good quality - and to my mind slightly above average in quality. It is clearly obvious that the management wants to attract and retain customers, and is succeeding! "Outtanding quality for the price"
I have never been able to fathom how a budget chain can offer free wi-fi, a free hot breakfast, a spacious (and very clean!) room with a fridge, a micr-wave and a coffee maker at a fraction of what you would pay for a smaller room with none of the above at a "luxury" hotel. The staff were friendly, respectful and very courteous, the breakfast was excellent and the overall impression was that this is a well cared for hotel, clean in every respect and pleasant to spend a few nights in. And those fluffy, snowy towels! I will most certainly be back when I am in the area again. "Thank you, Best Western - Hilliard!" After spending 2 nights in the most hideous hotel in another state (and a different hotel chain), we made it back as far as Ohio and decided to get a room, then continue the next day back to Illinois. I can't tell you how nice it was to be greeted by a smiling, friendly face (Chris) at the desk that evening. Our room was spotless and very nicely appointed. We were thrilled that everything was clean and worked! Don't worry if you forgot something... you can get it near the reception desk. I wished we could have stayed another day, just to enjoy it. Wonderful!! I'd give it a "6" if I could. "Beautiful Hotel that is clean"
This hotel is amazingly beautiful with kind staff. Comfortable beds and a great breakfast. Location is convenient and the wifi works fast. They even have good coffee which is important to me. I definitely recommend this one! Enjoyed our stay very much. The hotel was beautiful and well kept, in close proximity to many attractions and in a safe, clean area. The room was beautiful and very clean. Th ed pool area was well kept and clean. The staff was extremely friendly and helpful!! We enjoyed this hotel. It was sparkling clean and had undergone recent renovation. Our room was very clean and conducive to a relaxing evening and a good sleep. It was very quiet. The breakfast room was beautiful. As BW members, we were offered a choice of points or a bag of snacks. The reception staff was pleasant and helpful. It is a place that we would definitely consider staying at again. "Can I give 6 stars?!" Beautiful rooms, clean, friendly staff, great breakfast, comfortable beds and quiet atmosphere?! What else does one need?! I will stay again for sure! No issues at all. Only wish I'd brought my swim suit... the pool looked quite inviting! Thanks for a great stay! Beautiful hotel and probably the best Best Western I've ever stayed in. Front desk, breakfast hostess, and housekeeping staff are very kind and courteous. Room was very clean and comfortable. Pool area was nice and clean. Very nice to have a washer and dryer on site for guest use. I will definitely stay with Best Western Hilliard Inn and Suites my next, and future, stays in Columbus. The front desk staff provided customer service excellence in every way. My problem with this hotel was with the lack of attention to cleanliness and a less than average breakfast presentation. The elevator area was unclean and our carpet in our room didn't look like it had been vacuumed recently. The breakfast options were limited and not my idea of fresh and healthy choices. I was impressed with the appearance and cleanliness of the hotel. The beds were super comfortable and the room was spacious. The location was really close to the wedding event center and was very accessible to the highway. It was an overall excellent stay and it w as very well maintained by staff and owners. Everyone was very nice and very well dressed and hotel had a great breakfast and a to go breakfast for the ones in a hurry . Overall basic motel with problems. Door to hallway has at least a 1" opening all around perimeter. Sounds in hallway are like they are in the room. We were conveniently located next to elevator but if anyone came down hallway we could hear them loudly. "Nice big room, clean hotel"
Our family stayed here after we went to an Ohio State football game. We used a Best Western discount card we got from staying several nights at Best Westerns earlier in the year. We were pleasantly surprised at the room - it was a suite. It would've been nice if the sink/vanity area was separate from the toilet and shower - that takes longer for four people to get ready in the morning. Queen bed was very firm, which didn't equal a very good night's sleep for me. It also didn't help that the people across the hall had screaming kids and a crying baby that went on for hours. Breakfast was just okay, with the usual offerings. Two big drawbacks were the lack of sausage gravy and biscuits, and the scrambled eggs were the worst I've ever had in a hotel; they were so runny it was like eating pudding. Jane at the morning front desk was a real plus. She was very nice, personable, and even gave us a discount and apology about the screaming kids (even though it was obviously not her fault). Overall, this is a good property, even though our stay had a couple setbacks. We probably wouldn't have stayed here without the loyalty discount that was going to expire at the end of the month. "Good hotel near Akron airport"
I stayed here to catch an early morning flight at Canton-Akron Airport. The hotel was very clean and appeared to be fairly new. The hotel shuttle was very efficient and the staff was very helpful. I would recommend this to family and business travelers. I loved this hotel. 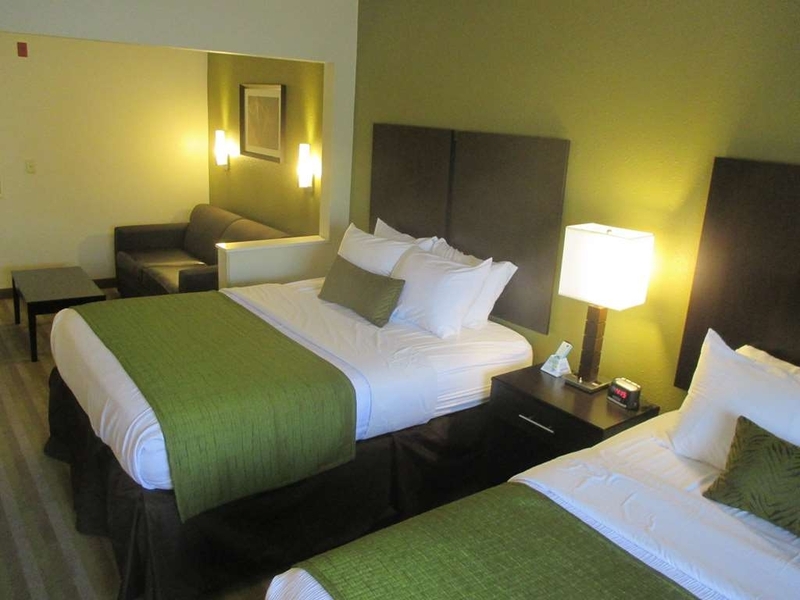 The room was large and very clean and the staff was very friendly and helpful. The breakfast was very good as well. The beds were very comfortable and we would definitely stay here again in the future! Came up for the weekend from Dayton. This hotel has a nice indoor pool, the suite was beautiful, braekfast was amazing and the staff are so warm and friendly. I would recommend anyone to stay here whether its for business or pleasure. Neat. Clean. Spacious rooms. Quiet. Great breakfast options. Looks like it has been updated recently. 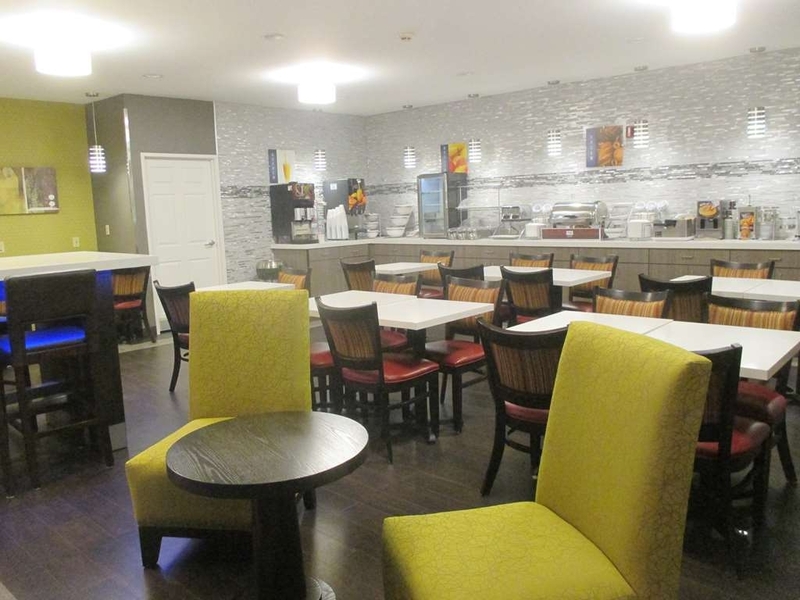 Convenient location with Starbucks and restaurants within walking distance. Easy access to I-270. Staff eager to please. Nice updated decor, decent rooms, didnt notice any issues...noise from the hallway was the only issue. Breakfast was decent, not a lot to choose from, but what was available was good...dining area was a little crowded. My sisters and I stayed there for the vintage market and our stay was great. We stayed 3 nights and our room was pleasant, bed comfortable, and the breakfast was delicious! I would definitely stay there again. We got a king size suite and it was spacious. Very clean, courteous staff, convenient to shopping and eateries. Close to osu and many different things and sites to enjoy. Very nice mall near it called tuttle crossing mall. The beds were the most comfortable ever and VERY clean! "Great place, friendly employees, excellent value"
The property is relatively new and well maintained. There were a few small stains on the carpet, but it was very clean otherwise. The staff was friendly and welcoming and appeared to enjoy their work. Overall an excellent value and a nice place to stay. Room was clean and nicely decorated. Hotel was well maintained and the room was quiet. Nice area of town. Close to places to eat. Walking distance from my conference at nearby church. Staff was courteous. Great job! Very clean, staff great in all aspects Easy to find, many restaurant options in area. No negative comments from family at all. Had a newly remodeled feel to it. Free breakfast available. Close to interstate. I stay here once a week for work and would definitely recommend it. Located right off of I-275, it is easy to find. The rooms are excellent and I have had zero complaints. I have yet to try the pool but it looks nice. Jane & Autumne at the front desk are excellent, very helpful and friendly. There's a Mexican restaurant 2 doors down from the hotel that is simply amazing and will offer you a discount with your BW room key. Overall I am very satisfied with this hotel and would definitely recommend it. It was a great experience. The staff was very nice and helpful,clean rooms, and complementary breakfast. A great place to stay, with great rates. Close to Columbus zoo, and to the city. All kinds of different restaurants close by. The Best Support Group of ppl Jane, Autumn & Tony thank you so much for your compassion while we have been staying with the Best Western in Hillard for the last couple of months!! You all have put your hotel above all others that we have stayed in!! What a Fantastic Team i will always treasure our friendship! The hotel was so clean that we didn't have to worry about bringing our family member who started chemo into the hotel... The Staff made us feel like family something so rare when traveling....Your owner should be very very Proud of each of you! This is an immaculate hotel. Jane at the front desk was very cordial & helpful. Our room was clean & very comfortable. WiFi was great. Lots of breakfast choices & was delicious. Also, coffee, tea, hot chocolate & fresh fruit available all day. Very nice hotel, reasonably priced. Great location and easy access off highway. Nice room, great amenities, friendly staff. Would definitely stay here again. Coffee, water and fruit available 24 hours. Good internet service. Raj the GM and Jane the morning manager were extremely polite and helpful. My parents are elderly and stayed there for 8 days. They lowered the bed for them to use and bought them a bath mat to ensure they did nonslip in the shower. Super nice staff across all shifts. Great job leading a team like this. Not often can you encounter this with everyone. Thank you again for a great job. "Great Place To Stay When At Hilliard, OH"
Wonderful place to stay, great location and staff that take excellent care of your needs!!!! We travel to the Hilliard/Columbus area several times a year and this is our home away from home when we are there!!!! "Flooded Room and Still Booked to Different Couple Next Day"
There was a storm the first night we were there and water came pouring through a hole in the ceiling (that has obviously been there for some time). The flooding soaked my clothes, including a suit that I had for a wedding we were going to. The room smelled like mold/mildew and the AC barely worked (likely because of the water flooding right above). The hotel manager claimed to have compensated us for the first night and moved us to another room. Surprise - when I got my credit card statement, we were charged for the first night! We had to call (several times and several people) to finally get the charge removed. Worse yet - the very next day, we saw a young couple checking in to the same exact room that we were in for the flooding?!?! We warned the couple and they went down to request a different room. We're not talking about a trickle, water was pouring from the ceiling. Wish I could post the video here that I shot of it (in case the hotel tried to screw us out of the compensation - turns out it was a good call to record!). Obviously would not recommend. "Very nice overall, clean but very hard beds." Hotel and employees Very nice. Hotel and rooms veryclean. Other than beds are hard as a rock it was great. A very nice hot and cold breakfast offered. Indoor pool was not listed on the site we booked on we did not use but it looked very nice and clean too. We stayed in Hilliard for two nights as part of a large road trip. 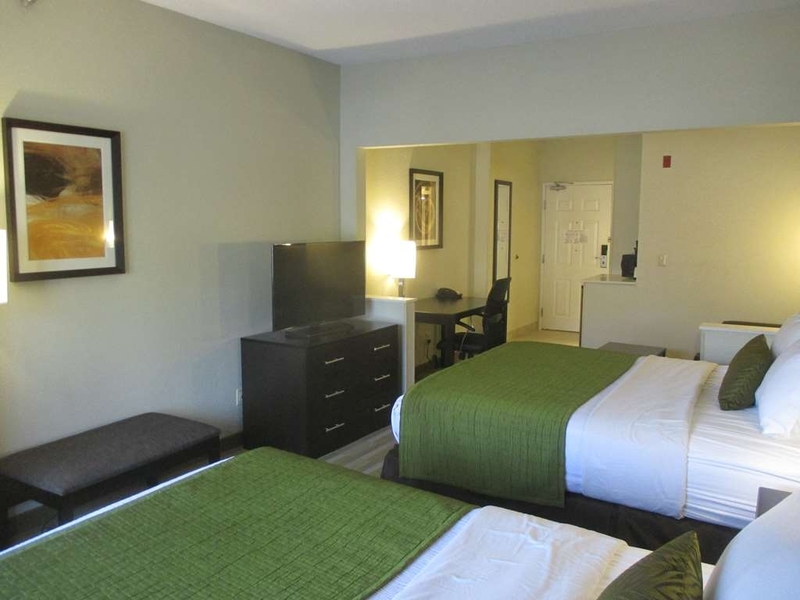 This hotel is economical but provides good value and is clean. We stayed in a double queen with fold out couch. Complimentary breakfast was well attended and worth while. They have a small pool, which was quite busy when we stayed. Large amount of parking and a small selection of snacks and drinks available from their "store". Rooms were clean and the air conditioner as quiet and efficient. Had a bit of a musty smell but not overwhelming. 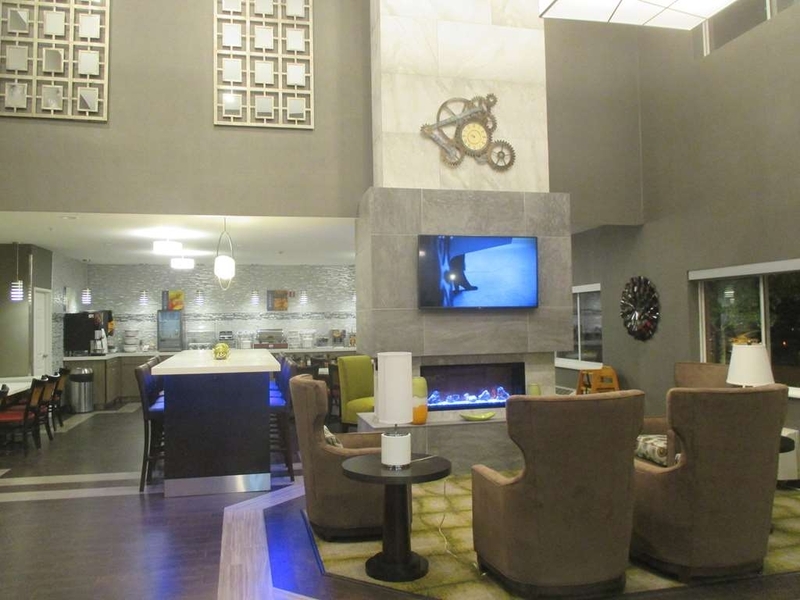 Close by restaurants, short drive to campus and to downtown by easy access to 270. Very friendly staff and clean, comfortable rooms. Breakfast is your standard hotel breakfast. Here for a softball tournament. It would be great if there was an outdoor area connected to the pool or available for groups to gather. It is extremely loud in the pool area, but that is typical. Overall good experience and the group sales person, Jane, was very helpful. I not saying it's bad the employees (most of them talk spanish) everyone one is friendly except for the manager she is always mad for some reason but I don't know why so if you do anything bad don't do it in front of her. "Hilliard Inn & Suites business trip"
The hotel was easy to find. There were many choices for dining nearby. Shopping could have been located within walking distance and a shuttle could have been available. The pool temperature was a little warm. The hotel staff did everything they could to make our stay enjoyable. The staff is very friendly. They do a great job to welcome the guests and make them feel comfortable. The breakfast area was very well stocked with great food and kept clean. The bed was very comfortable. The room was clean. Wonderful stay at the hotel. Lots of stuff nearby, clean rooms, friendly staff. The pool was out of towels but the staff brought a huge pile to restock. Breakfast was always high quality. Rooms were clean and everything worked. I was in town to visit family-this hotel is easy to find off the interstate and conveniently located to the area attractions/family we were in town to see. The breakfast bar in the hotel had a lot of variety-if you were not a fan of what was provided, there were a few restaurant options just down the road. The room itself was really nice and spacious! The check-in staff member was very friendly and checking out was easy, again encountered courteous staff. My only complaint, and I think you will find this with any hotel is neighbor noise-I was woken up by a door slamming early in the morning and my sister was woken up by the shower turning on in the next room. After staying at four different Best Westerns on a recent trip, we were looking forward to this one due to the excellent online reviews. 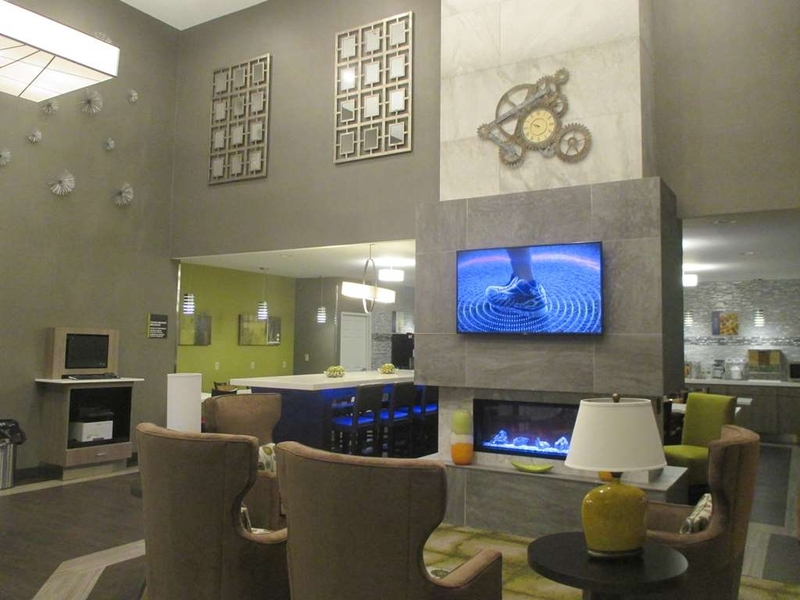 This hotel does look updated as far furnishings and finishes in the lobby and rooms. However, our expectations were not met after checking in to this hotel. Below is a timeline of our visit. 1. Check-in when smoothly and the woman working there was friendly. 2. Limited to no air-conditioning in lobby and elevator. 3. As we entered the room, it was was hot and stuffy due to air conditioning being off and curtain being open with sun beating in. 4. Bad odor in room-wet, dirty dog? 5. As we started to unpack, when we opened the nightstand drawer we found trash and an overturned, spilled cough syrup cup left in the drawer. 6. Dirty hand prints on shower wall 7. Stained bed sheets 8. We are not usually overly picky, but this accumulation of things prompted us to return to front desk and ask for a room change 9. Again, the woman at the front desk was very friendly and quickly accommodated our request. 10. Second room was much better, though we did have to again crank the air conditioning for a couple of hours to get the room comfortable. So, this makes us wonder... Was this a rare slip-up by the cleaning staff or a sign of underlying issues or things to come? We would also like to note that the following morning the lobby was again very stuffy and therefore we did not consider having the complementary breakfast. Although we rated this hotel average (due to the 2nd room we got being acceptable), we will consider other hotel options in the future. Had a wonderful 10 week stay at the Best Western in Hilliard. Great Breakfast to start the day. Courteous and friendly staff on every shift. Hope to be back next spring for the same job and if I am I will definitely stay here again. "Best Western truly is the Best Place to Stay"
This is the Best, Most Friendly Hotel . Their staff actually cares and we have found they will go out of their way to make sure your stay is Awesome. The Free Breakfast was a great experience....just about everything one could want . The pool was very inviting and temp was perfect for the whole family. We Loved staying here. We Plan on returning in the future. 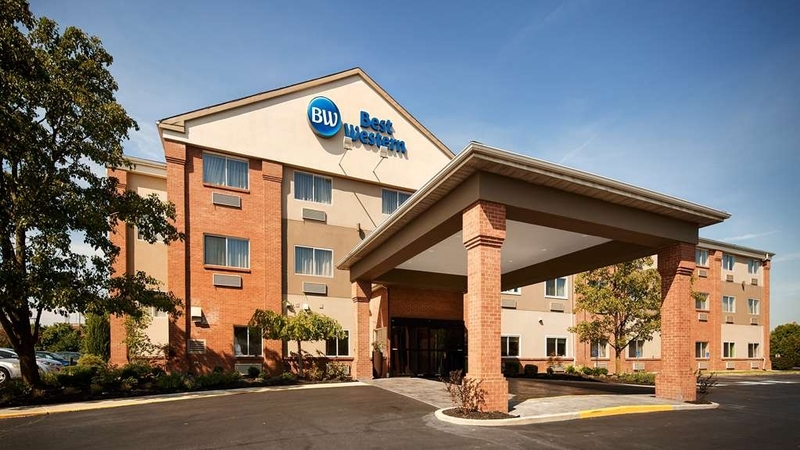 Every time we stay at a BW, we have the perfect hotel experience. Quiet nights, friendly and helpful staff, and decent amenities. The rates are excellent and the rooms are spotless. We always look for a BW first when looking for a hotel. Great location - near family, shopping. Decent price. Nice pool. Workout room pretty small, but was able to take a nice, long walk around the hotel. Breakfast was good - variety, taste, but eggs too cheesy. Staff was very friendly - manager stopped by our breakfast table to make sure everything was ok.
Dont get a room on the second floor you will hear the gusts on the third floor! Not sure if first floor would hear second floor or not. Best bet would try to get room on third floor, or no rooms at all! 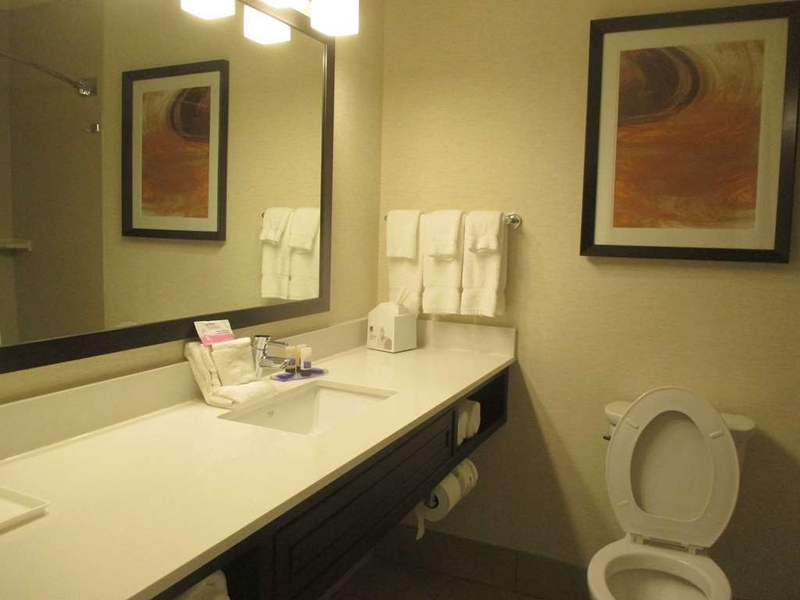 "Return visit did not disappoint "
The bathroom is ultra modern w/out all the dings & knicks you see in other hotel rooms. Smelled really fresh & clean in the room - Octavio does a great job. The fridge is really big inside for a hotel fridge. Hotel has bumbbells in gym but they also offer free trip over to Crunch Fitness (a fully stocked, huge gym over the way - walking distance). Then there's the b/fast, the b/fast is NICE. E/thing there & STAYED stocked while I was in there. Great job Best Western! Truck parking in mt lot behind building & stores/ restaurants galore if need be. Rest area coupon puts this property way up at the top. Be blessed & believe in CHRIST! "Immaculate, friendly place to stay"
Our room was immaculate and a good size, the beds so comfortable, all conveniences provided. The breakfast was quite good; eggs, waffles, fruit, cereal etc. The staff were all so pleasant and helpful. They went above and beyond to be kind and helpful. Close to highway, restaurants, shopping and sport facilities. We would definitely return. This hotel was clean, classy, and luxurious. I LOVED the warm pool! I'd recommend this hotel to everyone! The rooms are HUGE, the service was friendly. There is a delicious Mexican restaurant within walking distance too! 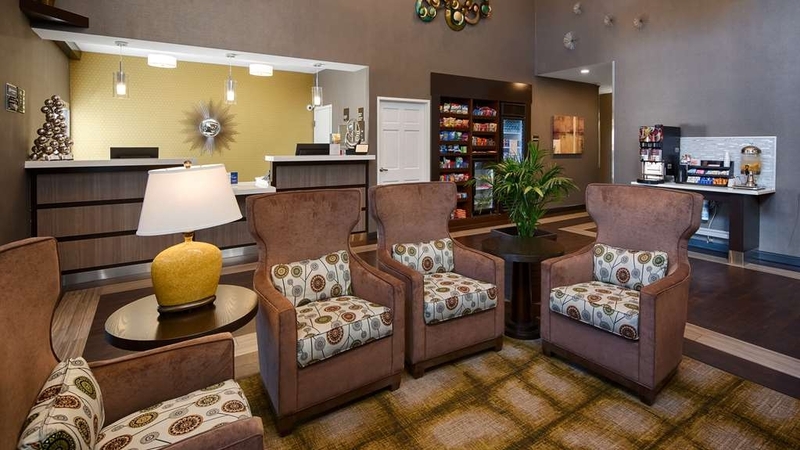 If you need a convenient place to stay in Upper Arlington you will be quite satisfied with this hotel. Rates very reasonable, service good, convenient to highway. We've stayed here many times over the last few years with no complaints. Good(but limited) accessible rooms. "Great Value for Columbus Ohio Congress"
This property is clean, in a safe area, surrounded by good quality restaurants and I great value for the Columbus Ohio area. It's a 30 min drive to the fairgrounds in traffic but it is worth the drive because of the quality of this hotel and the cost of rooms is excellent. Far below comparable properties in the area. I'll definitely stay here in the future. Excellent selection for breakfast items, good wifi and comfortable beds. What more do you need? We were booked at a Homewood Suites in Hilliard and got bumped at 10:30pm on Wed. for a four night stay. We were sent to the Hilliard Best Western for one night. We were so impressed that we decided to stay the next three nights instead of going back to Homewood. Good decision!!! Less expensive, great facilities and great staff. "Clean & Modern, good location"
We had a great stay! It was a great location, nice that breakfast was included. Indoor pool, very clean and friendly staff! Short visit but would consider staying here again for sure. Everything is brand new! Everything was great here. Nice and clean and friendly. 2 floors and we were on the top floor. Very quiet and good for sleeping. Hot breakfast was only so-so but everything else was really good. We would stay here again. "Local gym included in the price - best deal in Columbus!" There is ABSOLUTELY nothing to complain about w/ this hotel. For starters, Aaron was one of the coolest counter folk I'VE ever encountered. My room was really clean & modern. Awesome shower. They don't have a hottub but the heated pool is perfect. 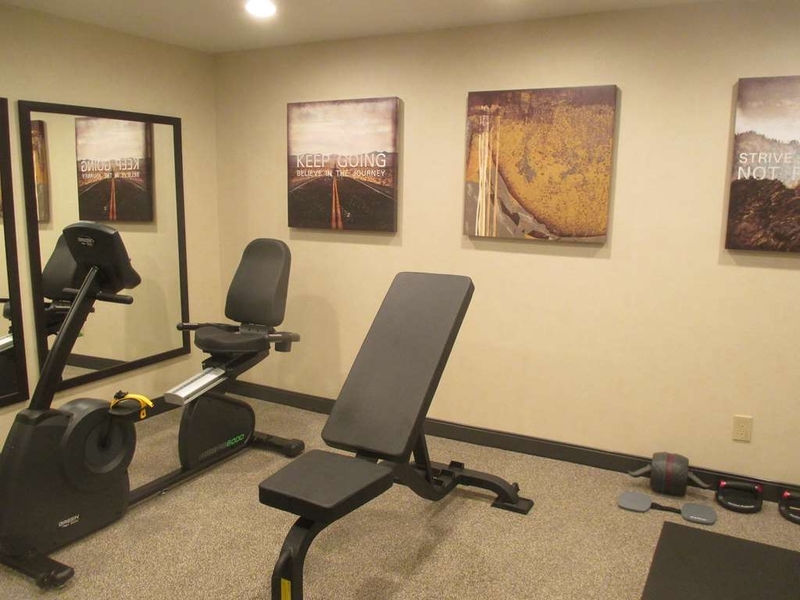 Now for the best part - the hotel has a decent fitness center, but you can go over to "Crunch Fitness" across the road for no extra cost. It's a big gym, too. A lot of nice surrounding area for running & the breakfast was amazing. They have truck parking & a rest area coupon made this one of my top 10 hotels. A way cheaper alternative to staying IN Columbus. 100% recommend. Show Aaron some love when you check in. Be blessed! "Could Have Been a Four or Five Rating"
Conveniently close to the freeway, but road noise barely audible. A plethora of free parking. All employees, from front desk to breakfast staff were super friendly. Our room near the end of the hall on the third floor was near both the stairs and the elevator, and immediately downstairs was a door directly to the side parking lot, which was handy. The hallways were clean, the room was clean, the massage shower head in the bathroom had great water pressure. Breakfast area sparkling, with standard yogurt, oatmeal packets, waffles, scrambled eggs, etc. Plus points: (1) Bed firm but super comfy. (2) Roomy room with a small leather-like couch and coffee table. (3) In-room fridge was very quiet. (4) Lots of AC outlets in walls and in the bases of lamps to recharge our phones, computers, etc. (5) Dispenser of complimentary chilled lemon/orange water in the lobby. Minus points: (1) In-room Wi-Fi a little spotty. Lost service about a quarter of the time. (2) No folding luggage rack to be found, so we had to use both the coffee table and a seating bench for our suitcases. (2) Two security lights directly outside our window were overwhelmingly bright. It was difficult to keep the blazing illumination from creeping in around the sides of the thick curtains. (3) The kicker: During our 3-night stay, the maids did not show up even once. The first evening without maid service--h-m-m-m-m-m, forgivable. Probably just a fluke? After the second evening of coming back to a tousled bed and our same towels, we called the front desk to make sure this wasn't one of those facilities that only cleans the room every few days. They said maid service was daily and indicated they would notify housekeeping. Our third and last evening there, we came back to an uncleaned room, again. I informed the gentleman at the desk of this upon checkout, and, seemingly a little embarrassed, he told us that they were short-staffed. Well, understood, but the same room for 3 days in a row? Fortunately we are pretty neat and it was not a disaster, but very disappointing. One of the joys of staying in a hotel is the fact that you don't have to make your own bed or swap out your towels--you pay to have it automatically done for you. A star or two off for that one, but given the positives I probably wouldn't have any qualms about staying there again. "I was in the hotel room for 24 hrs doing some work online, and it was very peaceful." Excellent rooms and peaceful area. I was in the room for 24 hrs a day for three days and even doing some work during the night hours, it was very peaceful in the hotel and outside. Internet speed and connectivity was very good. "I never give 10s but did here"
This is a newly remodeled motel. I seldom give 10s on a survey but we were extremely impressed with the cleanliness, decor, the friendliness of all the employees and especially the cost. We used a coupon from a travel book. I would definitely recommend this establishment and if in the area, will stay there again. It was also conveniently located off Highway 270 with stores near. The area was clean and we felt safe. In the past few years, Best Western has become a a hit or miss chain. Some locations are nice, others, not so much. 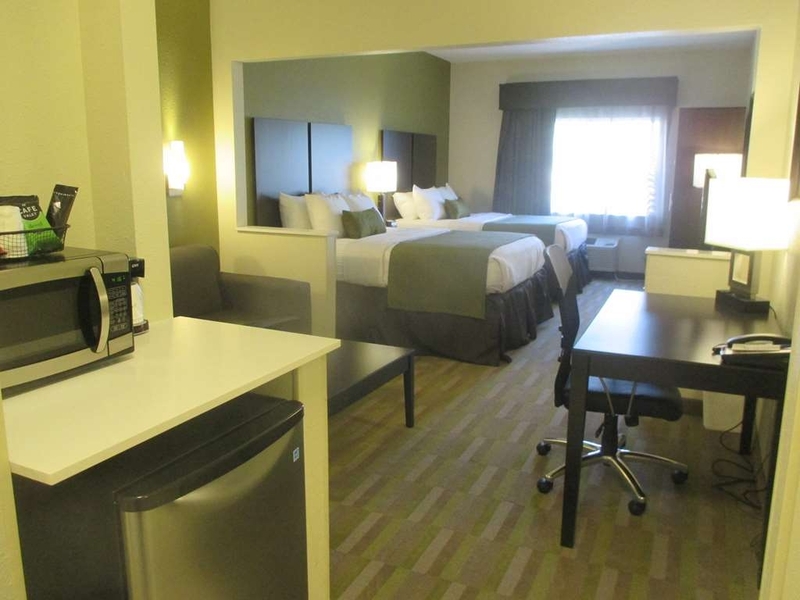 This is by far the nicest, cleanest, most comfortable and convenient Best Western property I have ever stayed in. The staff are friendly and helpful. Every inch of the property looks brand new. It's located close to restaurants, a few bars and the interstate. Couldn't ask for more at this price. I'll be staying there again. This is a very nice hotel, was a little leary because I havent ever stayed at a Best Western so didnt know what to expect. Exceeded expectations! Rooms were clean and everything was in working order. I would stay here again in a heartbeat! This place was great. Friendly and helpful staff, comfortable room and great location. Walked to dinner 2 nights in a row. A very nice breakfast spread and hot coffee and tea all the time. The pool looked nice, but didn't get a chance to go in. Definitely staying here again next time we are in town. "Nice room with everything I needed." I had a very nice stay at the Best Western in Hilliard, Ohio. The staff was professional and welcoming. Everything that I needed was available in the room. They provided round the clock coffee, decafe, and hot water for tea in the lobby. Also, I could make my own coffee in my room. I like having a microwave and refrigerator in my room. I couldn't think of anything that I needed that wasn't provided. This hotel is in a very nice area and stores are very handy. Hotel is newer with very large rooms and was clean. The bathroom was spacious with a long counter and large tub. Front staff was very nice,helpful and efficient. Good areas to walk a pet. Would stay again. So sorry I didn't take pictures of the update. But I was taken away when I saw the changes that had been made. Lovely decor in the lobby/sitting area. They updated the tables in the breakfast area and even added an extended booth. USB charger stations on the tables, just wow. They took out the hot tub and added a fitness area, awesome. Pool was just as nice as my last visit. I just wish they had a walk in pool instead of one you climb in. But anyway, everything in the room was new. I asked and peaked in a few that were being cleaned and they put all new furniture and appliances in the rooms. The color choices were awesome. I didn't want to leave the bed and even canceled a few plans just so I could sleep in. The breakfast we had was delicious. Coffee did the trick when I needed it most. We all wish rooms could be less but you really get your moneys worth here, if you take advantage of everything. The staff, as always, is kind and down to earth people. They chose them wisely. They'll end up knowing me by my next visit because I'll always stay there until something changes or my family moves. STAY HERE, YOU WON'T REGRET IT. This hotel is amazing! We found it through a hotel coupon booklet and got top value for a low price (but even their regular price is a great value). Completely redone and updated; you would never guess that the hotel is not new (I was told that it used to be a Comfort Inn before the renovations). 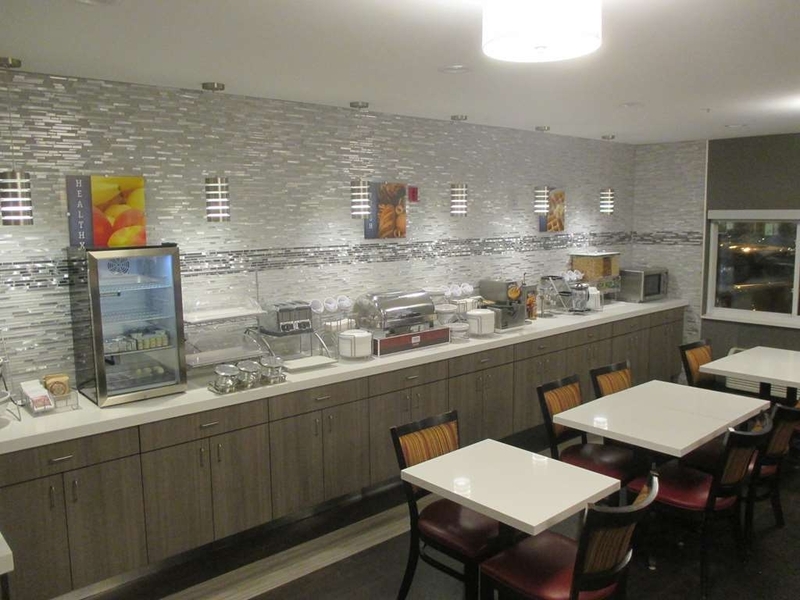 The lobby is beautiful; the breakfast area is bright and inviting. I believe that all rooms are suites and include a queen sleeper-sofa. The TV is very large and has great picture quality. All the furnishings are brand new and everything seems high quality. The beds are very comfortable, and the room is very quiet. Breakfast was also great with a good selection and with items that are usually not offered at other hotels, like individual cartons of soy milk and delicious oatmeal-almond pancakes and a variety of toppings to customize your pancake. This hotel is one of the nicest (if not the nicest) Best Western hotels that I have stayed at. 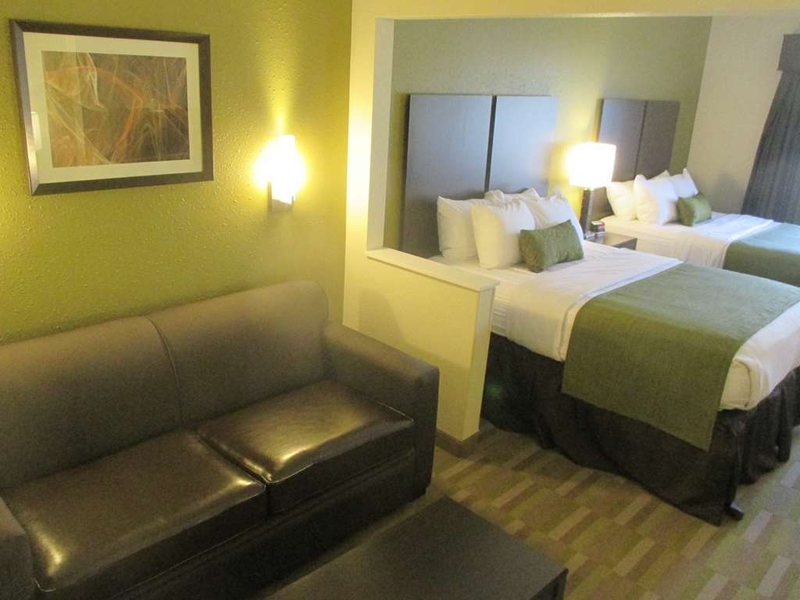 "Very Very Nice Hotel & Staff"
This Best Western Hotel had very clean and very spacious rooms! The Bathroom was a nice size. We were very pleasantly surprised. My son even thought it had a 5 star appeal!!! And he is very picky!!! There was a nice size refrigerator in our room and a coffee maker. The free breakfast in the morning was a nice plus to our stay. Awesome experience with Best Western to have a night stay before appearing on Cash Explosion show. It was a quiet night and comfortable. Breakfast before the show was good and helped calm my nerves. It was a fun time with walking distance to great restaurants and local convenient stores to get any supplies needed that the hotel did not have. Good variety of snacks and drinks in machines too. 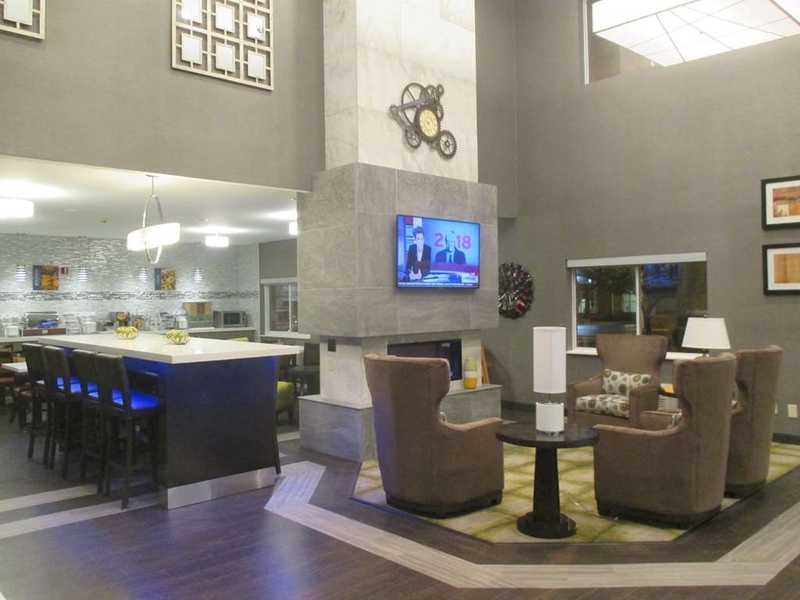 "Best Best Western I've ever stayed at"
This Best Western you can tell was recently renovated. It has a very modern feel to it. The location was pretty good. Breakfast was great. The room was very clean and comfortable and included amenities such as mini fridge and microwave. This hotel was perfect for our weekend stay in Columbus. We planned trip to Ohio State Fair and planned to stay over. So glad we found this Best Western in Hilliard. It was out of town but not too far. Our accommodations were better then we expected. We arrived later then planned and room was ready and waiting. Entry ro hotel was clean and well lit. When we got to our room it was amazing the size it was. Very impressed. We recently stayed here with several other families while in town for a basketball tournament. This hotel was really a nice treat. We weren't sure what to expect at the price point but we were really pleasantly surprised. The rooms were spacious and the beds were super comfy. The only complaint would be the "eggs" during breakfast. Other than that, the breakfast was pretty good. Could not have had a better stay! Beautiful inside and out! Bathroom was super clean and everything had a new and modern feel. So very impressed especially for the price! Staff was wonderful! Asked for extra towels and they were brought to our door within minutes and the hotel was quite busy this weekend. If i had another reason to stay in the area i wouldn't hesitate to book this hotel. We found this Best Western to be very updated, excellent service and the room was very nice and smelled great too. They also had coffee and hot water available in the evening, which we find very convenient. "nice staff/good location to restaurants"
Overall the hotel is nice. The staff was great even though the hotel was full and they were busy, there remained helpful. The local restaurants are close. Breakfast is ok, but the hotel is clean and looks like it is all remodeled. The rooms were large and the beds were super comfortable. The hotel was able to accommodate a large sport's team. The lobby was a great space for the team to visit with each other. Great location and easy access to the freeway. "Very good for a one night stay"
Travelling vacation. Stopped here for one night stay to go to the Zoo and Aquarium. Place was clean, service was good and the bed comfortable. Even though there were three sports teams for teenage girls, it was quiet. We had a coupon from one of those books you get at the visitors centers and we were pleasantly surprised. Indoor pool was a little small but we didn't use it anyway. Kids from the sports teams seemed to enjoy it. breakfast offerings was eggs, sausage, Waffles, cereal, toast, fruit, various danishes and baked goods, and of course juices and coffee. Only downfall there was the mass made scrambled eggs, but I've had same thing at conferences at big motels. The rooms were nice and decent sized. We were 15 minutes away from the zoo; our reason for being in Columbus. The pool was small but you can get wet for a few minutes. The breakfast was fine and free. Stayed 2 nights. Hotel staff is as friendly as they come and very responsive to any issues you may have. Had an issue with refrigerator not cooling. Staff was at my door within 5 minutes with a new refrigerator. Nice pool. Lots of restaurants in the area. "Our stay at Hillard OH"
This was by far the best Best Western we have ever stayed at. The staff were very professional and polite. The room was very very clean, and had every thing we needed for our one-night stay. The breakfast was great, a wide variety of items and even tasted good. Check in was a snap, and check out was equally quick and easy. The grounds were very well kept. I am somewhat handicapped, so always like to see automatic sliding doors to enter the motel. "Reasonably priced clean place to stay"
First off, I normally don't stay at Best western hotels. Only booked here because that is where the rest of my daughter's softball team was staying. Pros: Very clean room w a super comfortable king bed. HBO/Showtime. WiFi. In-room mini fridge. small microwave. Price. Cons: Small pool area w no Hot tub. 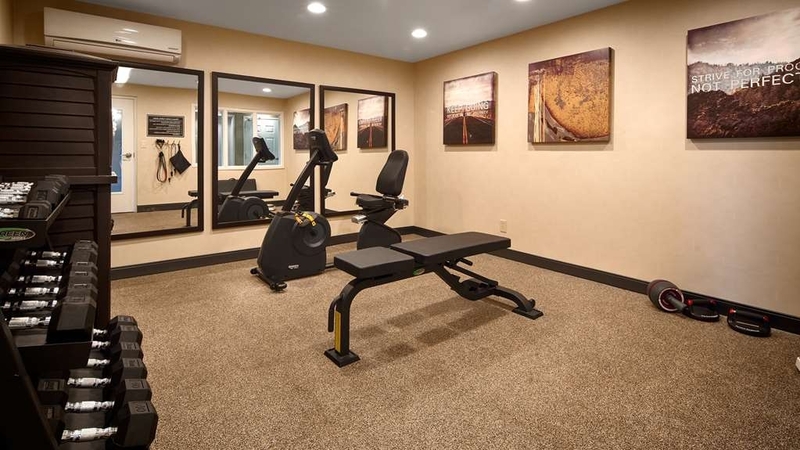 fitness room is basically a single exercise bike located in a walk-in closet sized space. The hot breakfast items were possibly the worst ive ever had. No on-site laundry. Overall you cant beat the price for a clean comfortable place to stay for a night if you are passing through and can live without some of the luxuries provided (at additional cost no doubt) by other hotels. Personally, i'll pay a few extra bucks to stay elsewhere. Our vacation was extended a bit, since our home on back order. Decided to stay here a couple days, finding a weekly place for the next few weeks. Pros: Really nice place, clean and very quiet. Breakfast area is large and well stocked. Great for the price. Desk staff was great, (BUT)wife thought it was the manager. She needs to be a bit more attentive to her clients all she said. We had left the next morning about 10. Our DND sign was out, took it down upon leaving. Maid was down the hall, never returned to our room to clean. Wife went to the desk, never a sorry, just Hum..did you have your sign out? Well ya till we left, maid was down the hall seen us. Gave us towels, soap. You find these kinds in every form of business, but in the wife's watch, does not set well. Would we recommend, highly. Cons: The pool needs to be turned up a bit for us old folks. Recently remodeled and a great staff. Breakfast was good. Space is a little tight in lobby and elevators, common with older hotels, but room was a decent size. Everyone was professional, welcoming, and helpful. Bed was firm and you had different pillows to choose from. We will stay here again on our next trip. The staff was very friendly and the hotel was very clean. It appeared there were recent renovations and they were done well. The room was large and comfortable. Close to a lot of restaurants. The layout and design of the rooms I believe were well thought out. This hotel is an older place but the room we stayed in was very clean and updated. Looked like a new hotel room. Did not use the pool but it looked very nice, also. Free breakfast was the usual free breakfast, nothing out of the ordinary. Was going to stay at the Hampton but it was undergoing renovations and the desk highly recommended this hotel, which we were surprised because one hotel recommended another. Hampton is always our first choice. It is not a Hilton or a Wyndham but very nice. 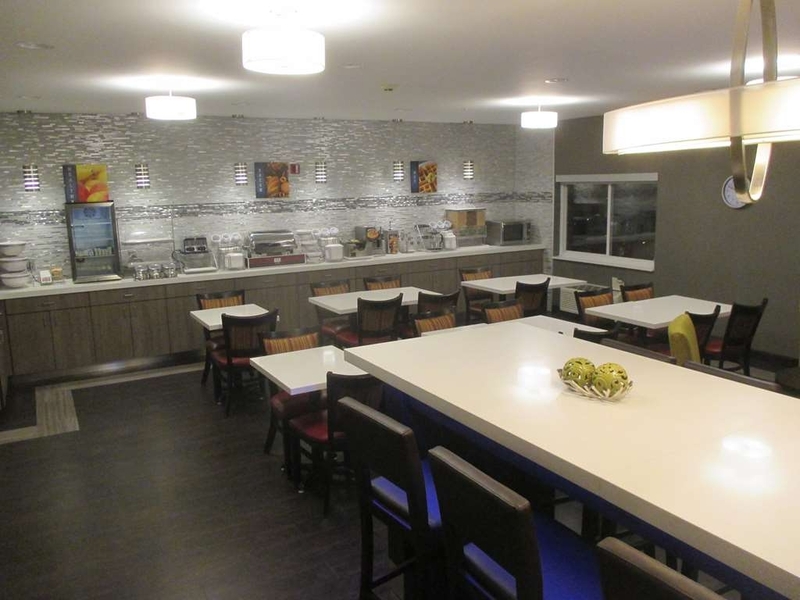 This Best Western has been recently remodeled. My husband and I were away for a few days of relaxation. We found the staff to be very professional, friendly and helpful. The room was very nice, comfortable and clean. Breakfast was continental and the food was fresh and very good. We had no problems with check-in and a special price was honored. Checkout was very easy. We experienced no problems at all during our stay. After checking out from an overnight stay the first week of January I arrived home and found that there was a $150 charge on my credit card for a "smoking violation" for one of the two rooms I booked via calling the front desk (rate was $76 per room). In checking with my party - no one smoked in the room. When I contacted the hotel staff, they informed me the cleaning staff filed the claim with management. I contacted the hotel 1/24, 1/25, 2/3 and 2/4 with no reply to discuss the charge. They were provided my contact information and the hotel management did not call or email me - until I mentioned the Trip Advisor was my next step. The manager did call me 2/4 afternoon - and when asked provided pictures from the cleaning staff. My frustration level and the issue could have been handled sooner - if the management would have immediately contacted me to discuss pending charge. That did not happen. Again, there was no indication of smoking in the room, just their interpretation of the pictures the cleaning staff took and the assumption that smoking occurred IN the room. So, if you have a smoker in your group - and even if they smoke outside - you may be charged later. You are duly warned. Summary: Decent location close to highway; comfortable and spacious room; clean enough though some areas need work. Would stay here again. This hotel is now called Hilliard Suites. It appears to be in a period of transition. There are no real signs (old Comfort Suites signs are covered with large vinyl signs saying Hilliard Suites). When I was there they were performing some minor construction on the breakfast area. 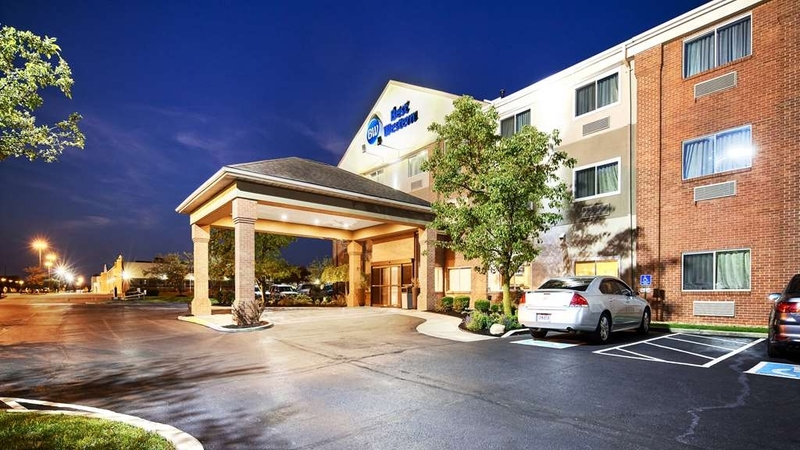 The location isn't as convenient to Columbus or Hilliard as most other hotels in the area, but it's still close to the highway. Entryway has no automatic door, instead having two pull-out doors, which makes opening them while towing luggage difficult. Check-in was easy, and the front desk person was friendly and helpful. Room was large and comfortable. A few areas in the room were a bit dusty, but overall it was clean. WiFi wasn't what I would call fast, but it was decent. Bathroom was large. Shower curtain had mold growing on the bottom! Didn't get to try the breakfast or pool. 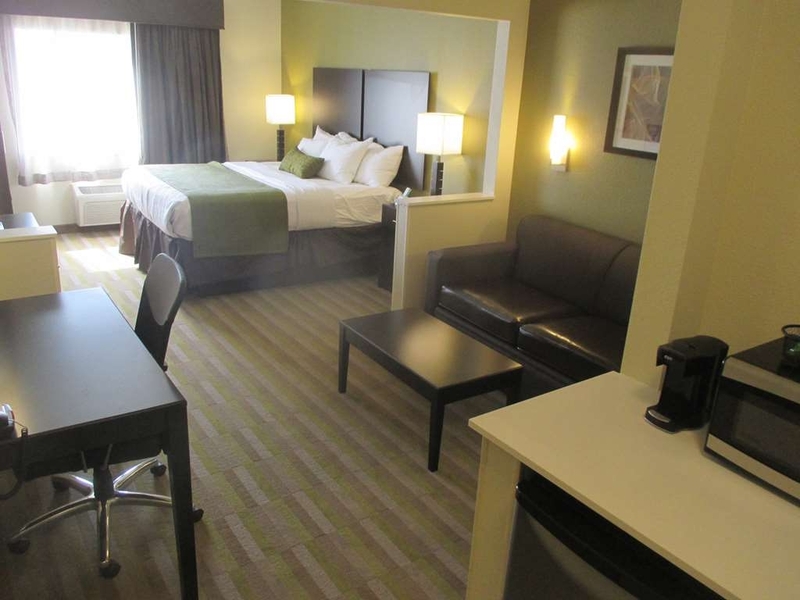 Bottom line, what Hilliard Suites gives you is a nice stay at a very good price.